Heading into the 2007 draft, there was not one clear cut prospect like in some years, 2008 (Stamkos) and 2009 (Tavares) for example. In 2007, there were plenty of good players, but towards the draft it filtered down to three prospects at the top of the class. 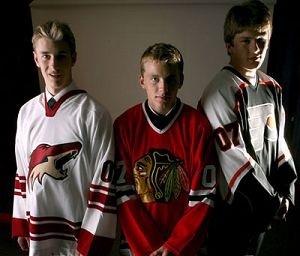 According to NHL’s Central Scouting, the top three (in order) were Kyle Turris, Patrick Kane, James van Riemsdyk. It seemed like those three would be the top choices, but in which order? And to which teams? Turris, from Burnaby of the BCHL, was touted as a great skater with a combination of skill and hockey smarts. Kane’s biggest knock was his size (5’10, 160) but was a scoring machine for London of the OHL. Van Riemsdyk was a big scoring winger from the US National Development Program that hadn’t finished growing yet. Philadelphia was in the midst of their worst season in team history and Phoenix had finished its’ third straight season near the bottom of the standings. Chicago finished last place in their division, but with a bit of luck, won the NHL draft lottery, giving them the #1 pick, followed by the Flyers and Coyotes. Random thoughts after the NHL Draft this past weekend. – I believe I predicted only one of my 10 selections in our CSH Mock Draft, and that one was Ryan Nugent-Hopkins. – I am not completely sold on Winnipeg selecting Mark Schleifele when Coutourier was still on the board. This could be a potential reach. – The fall of Brandon Saad is going to make it an interesting development for his time with Chicago. Did he just have groin issues that messed up the 2nd half of his draft year or is there more to it? In a span of an hour, the Flyers broke up the foundation of the franchise. Mike Richards and Jeff Carter have been together in the Flyers organization since 2003, when they were both drafted by the team. They’ll be playing the 2011-12 NHL season in different colors though, after Richards was dealt to Los Angeles and Carter to Columbus. The deals came as a shock to fans, as two of the most known Flyers were sent packing. So, what did the Flyers get in these deals? Jakub Voracek had 14 goals, 46 points for Columbus last year. The 6’1, 205 lb Czech was Columbus’ first rounder (#7 overall) in 2007 and has played three years for the Blue Jackets, amassing 39 goals and 136 points in 241 games. With Los Angeles, Wayne Simmonds scored 14 goals and 30 points while amassing 75 penalty minutes. 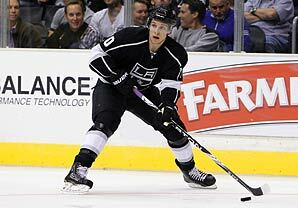 The power forward has played the last three years with the Kings after being drafted by the team in 2007. “Simmer”, as he is known, has scored 39 goals and 93 points in 240 games. Last year, Schenn spent some time with the Kings (0-2-2 in 8 GP), Manchester of the AHL (3-4-7 in 7 GP). He spent the majority of his time in the WHL with Brandon (1-3-4 in 2 GP) and Saskatoon (21-32-53 in 27 GP). 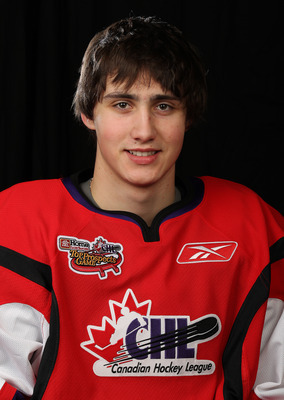 In the 2011 World Junior Championships, he tied a Canadian record for points in a single tournament (8-10-18 in 7 games). Schenn is one of the top prospects in all of hockey. They also received the #8 & #68 picks in this year’s draft, as well as the Kings’ 2nd rounder next year. What the Flyers plan to do with the picks remains to be seen. Heading into the 2011 NHL Draft, we have heard that after the top 3 names are selected, (Ryan Nugent-Hopkins, Gabriel Landeskog, Jonathan Huberdeau) the talent pool declines rapidly. I do agree to a certain extent, but there is still plenty of talent to be had at this year’s draft, it is not as bad as some are making it out to be. I thought it would be fun to highlight 3 players in each category (Offense/Defense/Goalie) that would be great choices for teams who have to select later on in the first round. My first selection for a team looking for a forward is Sven Bartschi of the WHL’s Portland Winterhawks. If you need a left winger who is a playmaker who also knows how to score, he looks to be your guy. In his first WHL season he has tallied 34 goals and 51 assists, including 5 game winning goals. In his first ever WHL playoffs he tallied 27 more points with 10 goals and 17 assists. He is more of a 5 on 5 guy, he has powerplay points, but they come few and far between. His vision is easily his greatest asset on the ice, he can find his teammates with the greatest of ease. He is incredibly quick, has great stickhandling skills, and has great endurance for long shifts. The only real gripe about him is his size, at 5’10”, 181lbs, he isn’t the biggest guy on the ice. My second pick to watch is really kind of a stretch, Markus Granlund, a center from HIFK of the Junior A SM-Liiga in Finland could be a surprise in the NHL, but he still needs some development time. While with HIFK his stats have improved over the years, most recently hitting the 50+ point mark. The kid is simply amazing when it comes to skating and stickhandling, those who saw his Mike Legg-esqe goal with HIFK know what he can do with a puck. The biggest hurdle with him, is that he needs to get used to the physical north american game, so development time is a must, we won’t see him in the NHL for a few years. 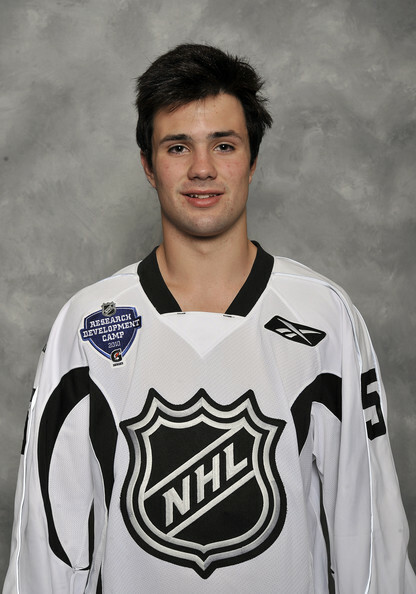 My third and final pick to watch is Tomas Jurco, a right winger of the Saint John Sea Dogs in the QMJHL. He tallied 56 points in 60 games this year with Saint John, and tallied another 16 points in 13 playoff games. Tomas has the drive to do one thing on the ice, and that is score, when he sees a scoring chance, you can bet he’s going to do anything in his power, including using his 6’2″ 175lbs frame to plow through defenders and turn that chance, into a goal. But when he doesn’t want to do that, he can just deke around the defenders, he has the hands to what he pleases with the puck (Just look him up on Youtube). The biggest issue facing Tomas is his consistency, he’s a bit of a streaky player. My first pick for a defensemen to watch is Duncan Siemens who played with the Saskatoon Blades of the WHL, his 3rd year in the league. He tallied 43 points this past season (only 5 goals) and had a sparkling +/- at +40. This doubles his output from the year before, when he only had 20 points. He is obviously more of a setup guy instead of a scorer, but he has defense down well. He never gets rattled on the ice, he knows where to be on the ice in each situation that can arise (powerplay, shorthanded, 5 on 3, etc). The biggest issue with Duncan is his speed, he can get beat in some foot races, but he’ll try everything, including taking a penalty, to stop the scoring chance. My second pick to watch is Ryan Murphy who just played his 2nd year with the Kitchener Rangers of the OHL. He had 79 points in 63 games this year with a +/- of +22. This kid can do it all, 5 on 5, shorthanded, powerplay, just an all around great, and smart (only took 36 PIM’s) defenseman. His biggest asset is his ability to shoot and pass, he can shoot through bodies and find the net, and can pass through bodies to find his teammates. This is the kind of Defenseman General Managers drool over, as well they should. The biggest issue concerning Ryan is, honestly nothing, he knows the game end to end. My final Defensive pick to watch is David Musil, who played his 2nd year this year for the Vancouver Giants of the WHL. While this year he had a small decline in point production, he still has a lot of potential on the ice. He could very well be the diamond in the rough in this year’s draft. Overall he is very good, but there isn’t really anything he does that makes him stand out, but he’s one of those defensemen who just does all the little things right, but not at a level that stands out (positioning, puck clearing, passing, shooting), would be a compliment to any defensive pairing. I’m not one hundred percent sure he would go in the first round, but whatever team does pick him up will have a potential gem on their hands. My first pick for a goaltender to watch is Jordan Binnington, who played the past two seasons with the Owen Sound Attack of the OHL. He went 27-12-5 this past season with a Save Percentage just under .900 and a 3.05 Goals Against Average. Jordan has great reflexes, and a good glove side, if he can see the puck, he will stop it. The biggest concern with him is in traffic, he has a hard time finding the puck. And he can let in a weak goal every now and then, but he doesn’t get rattled easily. My second pick is a no brainer, this guy is ranked the 1st overall goalie in the draft according to central scouting. 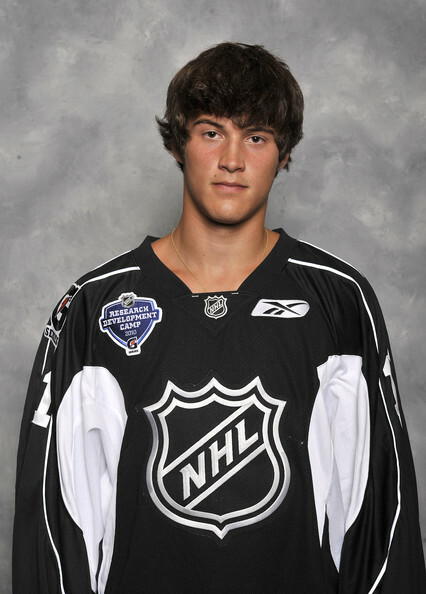 John Gibson, who played in the USHL. He will obviously need some time to develop but he could be something phenomenal for the team that picks him. He’s known as one of the calmest guys on his team, you will never see him rattled when he gets scored on. Moves across the net with ease, has great timing, and seemingly knows where the puck is going to be. The biggest issue with him is development time, if you need a quick goalie solution, he’s not your guy, he’s going to need some development time (probably 2-3, possibly 4 years), but when he’s there, be ready for a big payoff. My final pick for a goaltender to watch is a longshot at the NHL level, but could surprise folks, Tadeas Galansky, who is playing his 2nd season with the Saginaw Spirit of the OHL. He has seen limited time with the Spirit, but has made due with the time he has gotten, putting up a decent 9-5-2 record, .910 Save Percentage and a 2.89 Goals Against Average. He has been a little weak at times, but others (such as a 50 save performance against Windsor) he can steal a game. He is pretty good laterally, decent glove and blocker, but down low he seems to have some trouble. The biggest issues are rebound control, and development time. While we are all excited to see how the top three pan out at this year’s draft, the real excitement will begin afterwards, because it is anyone’s race the rest of the 1st round. I hope you enjoyed looking at, and learning a little bit about some guys that I think could make an impact in the NHL, despite being in the “less talented” section outside the top 3 draft choices. 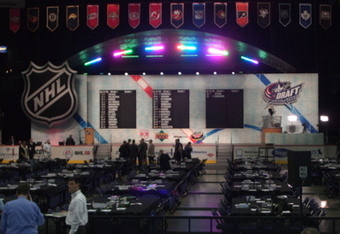 Many NHL careers will begin at the draft, and not just for the ones who get drafted one, two, and three.